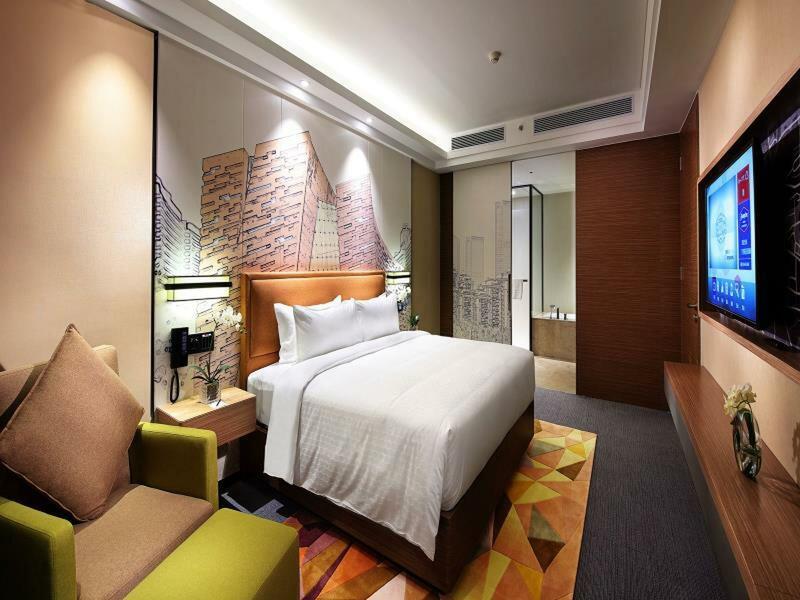 Το Hampton by Hilton Guangzhou Zhujiang New Town είναι μια πολύ καλή επιλογή για τη διαμονή σας σε Guangzhou, είτε είστε τουρίστας είτε επαγγελματίας. Το ξενοδοχείο βρίσκεται από το κέντρο της πόλης και σας προσφέρει εύκολη πρόσβαση σε σημαντικά μέρη της. Από τη βολική της τοποθεσία, η ιδιοκτησία προσφέρει εύκολη πρόσβαση σε κορυφαίους προορισμούς της πόλης. 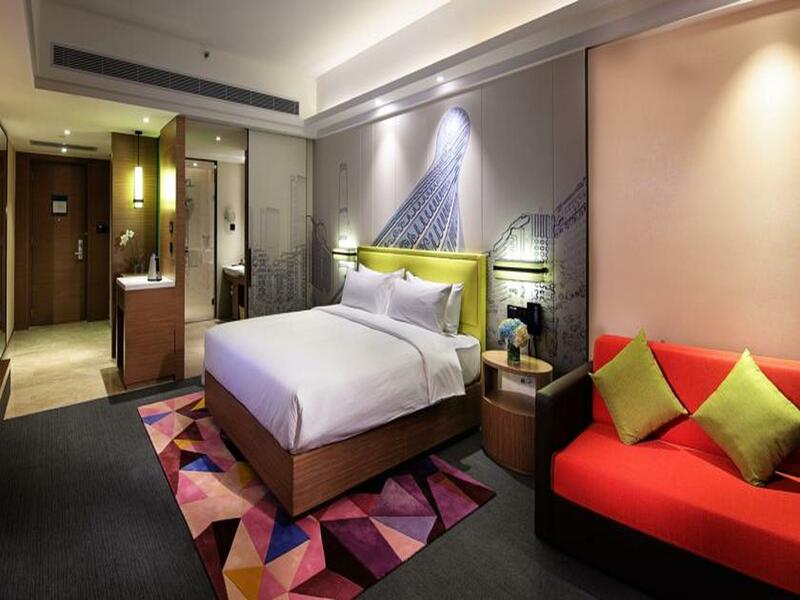 Το Hampton by Hilton Guangzhou Zhujiang New Town προσφέρει άψογη εξυπηρέτηση και όλες τις βασικές ανέσεις στους ενθουσιώδεις ταξιδιώτες. Για να ονομάσουμε μόνο λίγες από τις εγκαταστάσεις του ξενοδοχείου, υπάρχουν τα 24ωρη υπηρεσία δωματίου, 24ωρη φύλαξη, δωρεάν WiFi σε όλα τα δωμάτια, ημερήσιος καθαρισμός, 24ωρη ρεσεψιόν. Απολαύστε ανέσεις υψηλών προδιαγραφών κατά τη διαμονή σας. Ορισμένα δωμάτια περιλαμβάνουν επίπεδη τηλεόραση, μοκέτα, κρεμάστρα ρούχων, δωρεάν καφές φίλτρου, δωρεάν ποτό καλωσορίσματος - ό,τι πρέπει για να αναζωογονηθείτε μετά από μια γεμάτη μέρα. Η πλήρης λίστα των ψυχαγωγικών υπηρεσιών είναι διαθέσιμη στο ξενοδοχείο, συμπεριλαμβανομένων των γυμναστήριο. 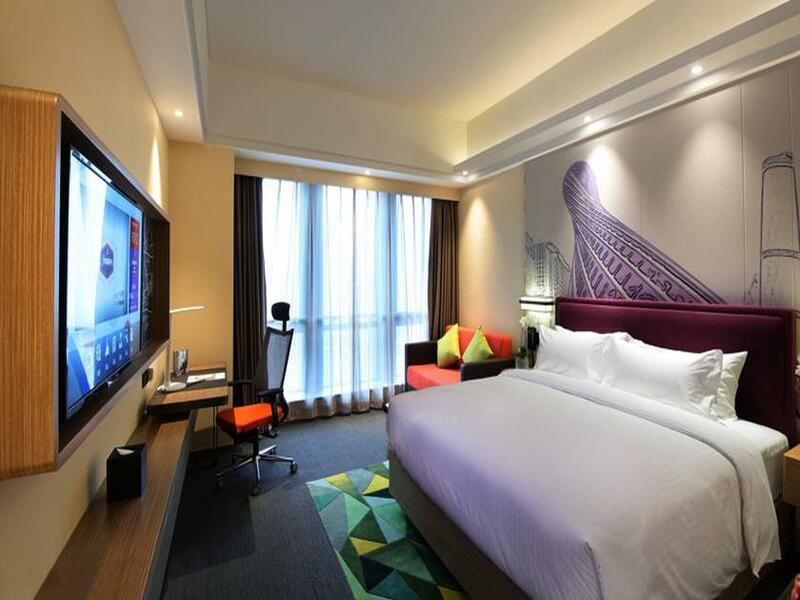 Το Hampton by Hilton Guangzhou Zhujiang New Town είναι ένας ιδανικός τόπος για να μείνετε αν ψάχνετε για γοητεία, άνεση και ευκολία στη Guangzhou. Location is about 1.5km too far from the main street. If you go for dinner in the main street, its quite a far way to walk back afterwards. Slightly over priced for what you get but otherwise everything else was lovely. Agoda indicates the hotel is 400m from Women and Children metro station but in actual fact, the nearest metro station (GangDing station) is at least a 20 minutes walk. It is also difficult to get a cab from the station back to the hotel as most taxi drivers prefer longer journey. We wouldn’t have booked the hotel if we knew the hotel is far from metro station and very inconvenient. We have informed the hotel staff about the wrong information on Agoda and shall see if the correct information will be updated. We reached Guangzhou airport at 12pm but only reached the hotel after 4pm because we went to the wrong metro station as per information on Agoda and had to take another journey to the hotel. It is not easy to find a cab in China as we are foreigners and do not have any local taxi app. Upon reaching the hotel after 4pm, we were told the room was not ready and we were told to wait for another 30 mins. The hotel check-in time is 2pm but our room was not ready at 4pm. This is truly unacceptable. Also, the floor of our room was not cleaned properly. I have the habit of cleaning up the floor after using the hair dryer. When I did so during our stay in the hotel, I realised the floor tiles are dirty, enough to stain the tissue paper with black dirt. Apparently, the cleaning staff did not mop/wipe the floor. We are very disappointed with the stay. Agoda gave the wrong information about the nearest mrt. 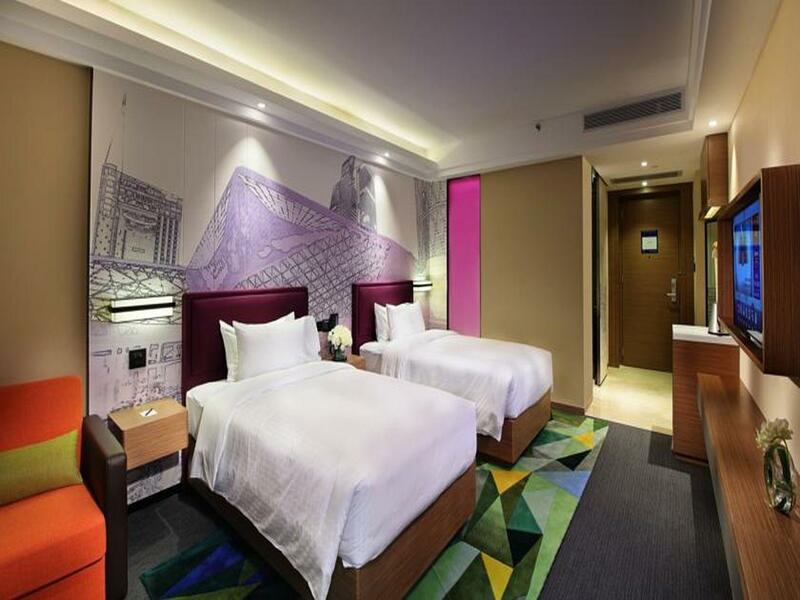 Agoda needs to verify the information with the hotel before publishing incorrect information to mislead the customers. The hotel room is not ready when we arrive the hotel at 4 plus. Still need to wait for another 15-20 minutes for the room to be ready. The check in time should be 2pm as stated clearly in the booking confirmation. The hotel needs to improve his work flow and reduce the unneccessary unhappiness for the customers to check in. I stayed here many times.their room was always clean snd smelling good.This time the room was smelling cigarettes smoke.also i chosed non smoking room.the breakfast was better than before.but need boiled water to make tea.not hot water from tank. We stayed in this hotel when we attended the Canton fair. It was a great choice because the hotel provided free shuttle to/from the fair. The breakfast selection was good. They even have free happy hour/ snack bar. The room was a good size and clean. The bed was comfortable. And the toiletries are awesome. 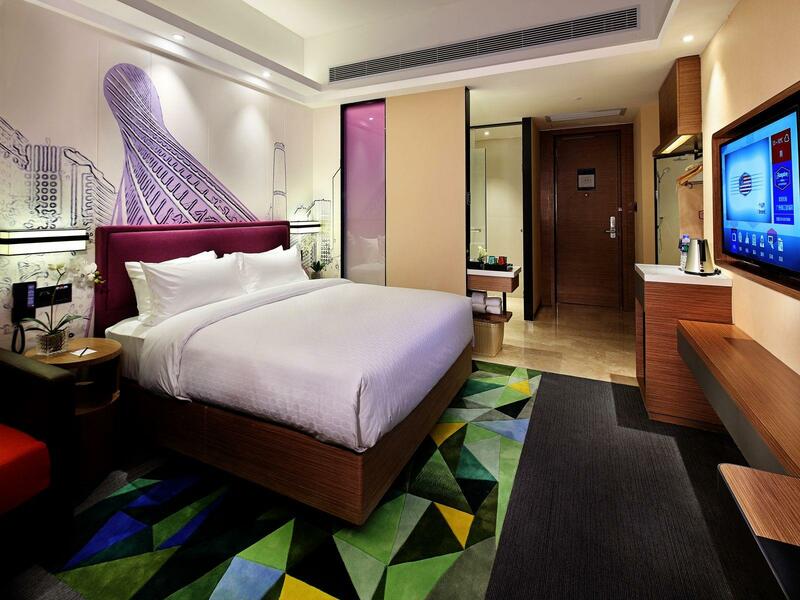 Hotel was relatively new which explain the high standard of cleanliness. Food was average with no new dishes. Room was large, especially the bathroom! Huge and nice! Was warmly greeted by the staff handwritten welcome notes on the board beside the teevee. However the functions on the teevee seemed to be slow and not working at time, but ain't no big deal anyway. Many food along the way to the nearest train station. Everything in the hotel was well served and clean. Staffs were friendly and helpful. Wifi was fast. Breakfast was good as well. Considering we stayed much of the time in the room, we thought our room was very homey. It is little pit far from subway stations,but you can reach nearest station (ganding) with in 15 minutes walk or (huangpu APM line) .many shops on the way to station. Within 20 minutes walk from (lede station) and restaurants avenue or 5 minutes by taxi .you can find in that avenue many international restaurants :europian,indian,chinese and arabic halal restaurants.APM subway line or you may walk in that avenue to reach canton tower as well the highest towers in guangzhou. The rooms are well appointed. Great Breakfast and the Staff is very pleasant and helpful. Good location,clean and recomended.Service when breakfeast must excellent. Service are friendly and wifi were good. Big and comfy rooms. They uses Serta mattress which follows USA hampton bed standard to ensure for a good deep rest. Their tolietries were by Peter Thomas Roth. Room were warm enough for winter weather as well. They also pin a small welcome note. Pros: - Clean and new. - Comfortable bed and great shower. Cons: - Most of the staff do not speak english well or at all. - You cannot change money at front desk. - Cannot buy train tickets of sim card at front desk. - Rooms lack saftey box. - Gym is very basic. - Not western restaurants around the area (walking distance). Nearest is the Taikoo Hui, about 25 mins walking. Although the hotel managed by Hilton but the service and facilities are not up to the expectations. The hotel looks nice in the pictures but everything done by cosmetic works,all the drawers are faked, the breakfast is bad. The facilities/traning machines are out of order. I feel very disapointing for time that I stayed worst than the local managed chain hotels. The location is at the centre of business, so traffic jam is a MUST for the hotel. Room is ok but bed is single bed NOT double Single as written on the agoda. Service crews are very good and friendly. 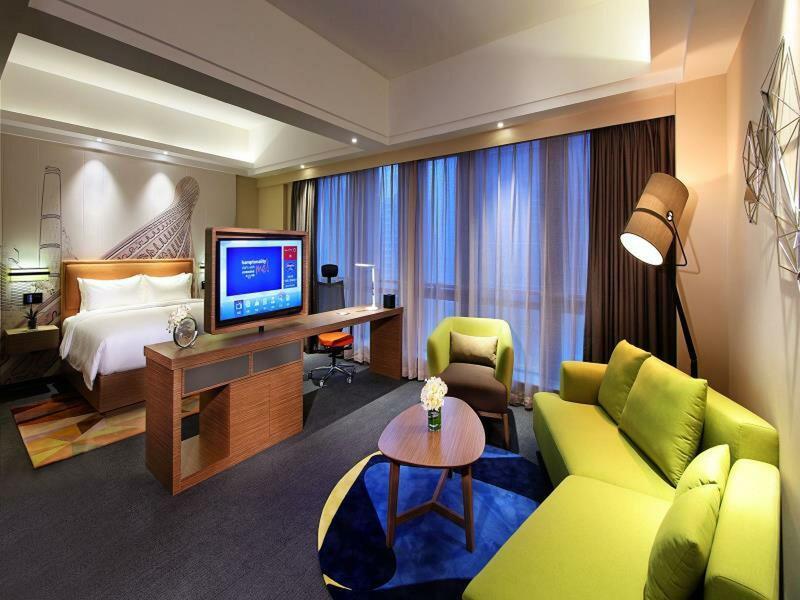 Nice, comfortable and clean room, many small restaurants with various types are nearby. Good wi-fi. The only demerit is very far away from subway, you need to take taxi to/from the subway or major shopping malls in Tianhe (fare around RMB 11-15, which is still acceptable). Walked 25 mins to the nearest subway station. When checkin the front desk staff gave sad face no smile no greeting. Bad attitude. Room is bigger then expected. Clean and new. Very comfortable bed. 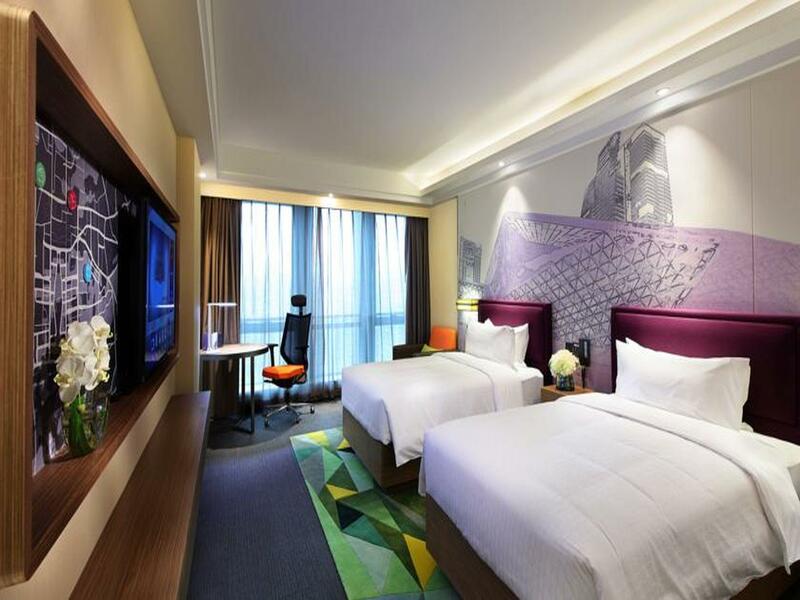 The hotel is brand new, the location is just a couple hundred meters from the mall Happy Valley that is also new and has several restaurants and stores. 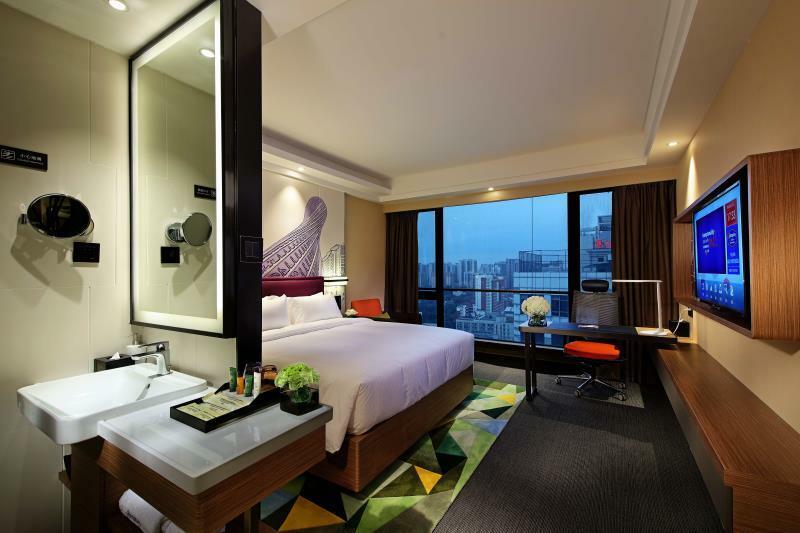 Make sure to choose a high floor because downstairs (Huangpu Ave.) is quite noisy. Σταθμός Μετρό Guangzhou Women & Children's Center στα 0.38 χλμ.